The Horai bridge in Shimada city has spanned the Ohi River since 1879, and boasts the longest span of any wooden bridge in Japan. 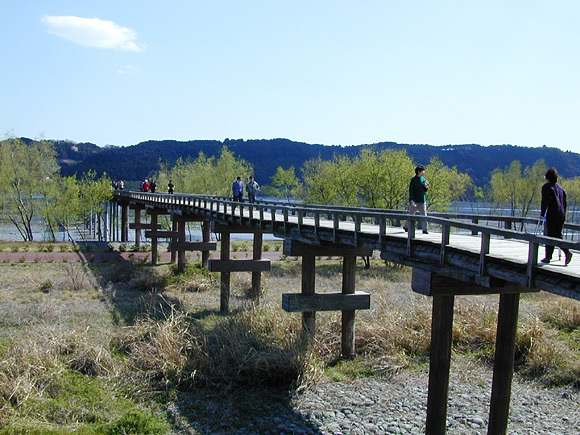 It was acknowledged by Guinness as "The longest wooden footbridge in the world (897m long , 2.7m width )" as of December 30, 1997. This bridge construction was completed on January 13, 1879. As the bridge had been completely made of wood and destroyed every time their where a flood, the basements were rebuilt by using concrete in April 1965.